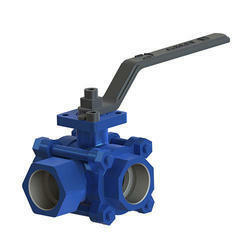 Our product range includes a wide range of t-port valve, 3 way ball valve, l-port valves and multiport valves. Sankey side entry 3-Way ball valve offers diverting and mixing/selection flow patterns and often eliminates the need for two valves. The T-port configuration is available as a 2 piece or 3 piece design in two seat and four seat configuration thus is extremely versatile in various configurations and the full port design is easily automated as it comes in and is available with various seat materials for various pressure and temperature range. Full Bore body, avoids clogging and ensures smooth flow when handling slurries and solid. Design in compliance with ASME B16.34 / BS5351. Material compliance with NACE specification. 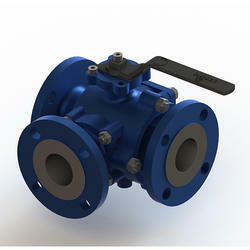 Sankey side entry 3-Way ball valve offers diverting and mixing/selection flow patterns and often eliminates the need for two valves. The L-port configuration is available as a3-piece design in two seat configuration and the full port design is easily automated as it comes in and is available with various seat materials for various pressure and temperature range. 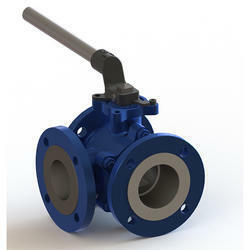 Sankey side entry 3-Way ball valve offers diverting and mixing/selection flow patterns and often eliminates the need for two valves. The L-port configuration is available as a 2 piece in two seat thus is extremely versatile in various configurations and the full port design is easily automated as it comes in and is available with various seat materials for various pressure and temperature range.